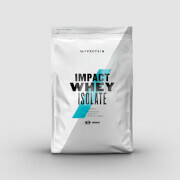 An exciting formulation delivering an amazing seven different types of protein (Whey Protein Concentrate, Whey Protein Isolate, Hydrolyzed Whey, Milk Protein, Micellar Casein, Calcium Caseinate and Free Range Egg White Powder) to ensure you receive a constant supply of amino acids throughout the day - ideal for supporting all kinds of fitness goals. The high protein content of each serving (20g) contributes to the growth and maintenance of muscle mass, and the use of both fast- and slow-release proteins means this product can be used anytime of the day or night, to give you that boost of protein when you need it most. The only question you need to ask yourself is – which of the seven tantalizing flavors do I try first? Available in Chocolate Smooth, Vanilla, Strawberry Cream, Cookies & Cream, Salted Caramel, Mocha and Cinnamon Roll! Anyone with an active lifestyle. It’s perfect for increasing protein intake in your diet to help with that all-important muscle growth and repair. So whether you are looking to get lean or build muscle, Total Protein is a great choice to set you on your way. We recommend consuming Total Protein first thing in the morning to fuel your day or pre/post training to support recovery. Have it with water or milk as a refreshing and replenishing protein shake, or combined with your favorite smoothie recipes, porridges and Greek yogurts. To reap the benefits of our Total Protein V2 powder add 200ml of water or milk into our shaker (the less liquid the thicker the shake will be). Add 1 heaped MP large scoop (30g), shake and consume. Use 2-3 times daily. Important Information: Do not exceed the stated recommended daily dose. This product is a food supplement and therefore should not be used as a substitute for a varied diet and a healthy lifestyle. Store in a cool dry place, out of the reach of young children. Suitable for vegetarians. Strawberry Cream Flavor: Whey Protein Concentrate, Whey Protein Isolate Powder, Hydrolyzed Whey Protein, Natural and Artifical Flavoring (Natural and Artifical Flavoring, Sweeteners (Sucralose, Acesulfame K), Juice (Color)), Milk Protein Concentrate, Micellar Casein, Calcium Caseinate, Egg White Powder. Salted Caramel Flavor : Whey Protein Concentrate, Whey Protein Isolate Powder, Hydrolyzed Whey Protein, Natural and Artifical Flavoring (Natural and Artifical Flavoring, Sweeteners (Sucralose, Acesulfame K)), Caramel Color (Color), Milk Protein Concentrate, Micellar Casein, Calcium Caseinate, Egg White Powder. Cinamon Roll Flavor: Whey Protein Concentrate, Whey Protein Isolate Powder, Hydrolyzed Whey Protein, Natural and Artifical Flavoring (Natural and Artifical Flavoring, Sweeteners (Sucralose, Acesulfame K)), Caramel Color (Color), Milk Protein Concentrate, Micellar Casein, Calcium Caseinate, Egg White Powder. Chocolate Smooth Flavor: Whey Protein Concentrate, Whey Protein Isolate Powder, Hydrolyzed Whey Protein, Cocoa Powder, Natural and Artifical Flavoring (Natural and Artifical Flavoring, Sweeteners (Sucralose, Acesulfame K), Salt), Milk Protein Concentrate, Micellar Casein, Calcium Caseinate, Egg White Powder. Mocha Flavor: Whey Protein Concentrate, Whey Protein Isolate Powder, Hydrolyzed Whey Protein, Cocoa Powder, Natural and Artifical Flavoring (Natural and Artifical Flavoring, Sweeteners (Sucralose, Acesulfame K), Milk Protein Concentrate, Micellar Casein, Calcium Caseinate, Egg White Powder. 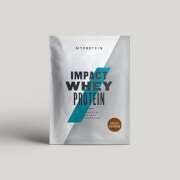 Cookies & Cream Flavor: Whey Protein Concentrate, Whey Protein Isolate Powder, Hydrolyzed Whey Protein,Natural and Artifical Flavoring (Natural and Artifical Flavoring, Sweeteners (Sucralose, Acesulfame K), Milk Protein Concentrate, Micellar Casein, Calcium Caseinate , Egg White Powder. Vanilla: Whey Protein, Natural and Artifical Flavoring (Natural and Artifical Flavoring, Sweeteners (Sucralose, Acesulfame K), Milk Protein Concentrate, Micellar Casein, Calcium Caseinate, Egg White Powder. The nutritional information is based on the Salted Caramel Flavor version, when choosing an alternative flavor the nutritional values may vary. The taste is not strong and it doesn't bore me like many others, Is not invasive, so it is great for shakes. I add it to my pancakes mix or just with water. I'm glad I try it. Best I have got for my money, 83 servings per bag. Great product! This is my go to protein, hands down. Between the price and effectiveness, you can’t beat this product. However, I would like to see an unflavored option. I have used unflavored versions of your protein and mixed them with drink packets. That way, you are not stuck with one flavor. The protein has a good taste and it mixes well. The biggest drawback is it give me bad gas, I am passing gas constantly, I am currently not using Total Protein to see if it is the protein or something else in my diet. I do like the fact of the longer lasting proteins. One of my favorite flavors. Mixes pretty well. This protein gets an A+ all across the board. I got the salted caramel which is delicious. I have it with my coffee in the morning, in breakfast shakes, and post workout shakes. Love this product. This would have been 5 stars but the mixability of it is not the easiest or greatest with how thick it is. i have the cookies and creme and it is a heavy flavor and tends to have chunks once in a while. overall, it tastes good i have had better flavors but this one is alright. with it having all the protein types combined in it, i did not expect it to mix 100% awesome. but it does the job and keeps me full and helps me hit my protein goals daily. i have a shake in the morning when i wake up then 2 scoops after i work out. it definitely helps in repair and recovery i am barely sore days after any body part workout. i usually have some soreness but with taking this and bcaas i am hardly ever sore for more than a few hours tops. Cannot get any better ! 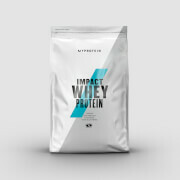 Myprotein is a market leader in the supplement industry since the past few years. I have just had some of this whey in blueberry and have to say it is awesome and easily one of the best from the range, awesome work in terms of formulating this flavour myprotein, this is great when mixed with just water to be used any time of the day more protein is required, also mixes nicely with some greek yogurt.This protein powder is awesome and to get it for a better price and have an extra thirty percent reduction co de, mass - rg can be used while signing up, note that the spaces need to be removed to form no gaps between the letters. Myprotein is a market leader in the supplement industry since the past few years. I have just had some of this whey in blueberry and have to say it is awesome and easily one of the best from the range, awesome work in terms of formulating this flavour myprotein, this is great when mixed with just water to be used any time of the day more protein is required, also mixes nicely with some greek yogurt.This protein powder is awesome and to get it for a better price and have an extra thirty percent reduction co de, mass - rg can be used while signing up, note spaces need to be removed to form no gaps between the letters in second word or line between words.